Article 1. The Center for Latin American Monetary Studies is constituted as an association subject to these statutes and the rules, and regulations approved by its governing bodies and, in the matters not included herein to the legislation of the country of residence. Article 2. The legal domicile of the Center is Mexico City; it can establish agencies or representative offices in any other place on the American Continent. Article 3. The duration of the Center is unlimited. Its dissolution may be decided, however, at any time, as contemplated articles 33 and 34 below. a) Monetary stability and related aspects, such as exchange rate regimes and management, monetary policy and liquidity management. b) Financial stability and related aspects, such as deposit guarantees, the role of lender of last resort, the design and operation of payment systems, and bank regulation. c) Regional and international co-ordination in the above areas and aspects, and in other areas such as the international financial system, debt and reserve management, and harmonization of banking practices and statistics. a) Coordinate the discussion and debate of topics and problems common to its Associate members. In this regard, the Center may engage in strategic studies and prepare position papers, combining in-house and external resources so as to centralize and disseminate relevant information. b) Gather such experience as is related to its objectives and systematize the derived learning for purposes of dissemination. In this context, its tasks with regard to technical assistance and the promotion of the sharing of experiences shall be restricted to substantive issues in central banking, with care given to complementing the efforts of other international organizations. c) Seek, within the means at its disposal, the further training of central bank officials and technical staff, as well as those of other institutions in its field of competence. The courses offered by the Center shall be focused on central banking core activities, and designed to provide specialized preparation in their partial or integrated aspects. d) Promote, within its means, the knowledge and dissemination of those matters of interest to its Associates and Collaborating members. e) Establish a regional information Center in monetary and financial affairs, with access restricted to Associate members, which shall include the compilation of central banking laws and regulations, and a homogeneous and standardized statistical data base. The Center may coordinate, subject to the approval of Associate members, the undertaking of research programmers which access said information. f) Maintain relationships with national and international organizations that promote knowledge in the subject areas of interest to the Center, with a view to complementing its work and avoiding the unnecessary duplication of tasks. The Center may agree to regional training and dissemination programmes with these organizations in substantive central banking topics. g) Organize and participate in national and international meetings of a technical nature dealing with such topics as those mentioned in article 4 above. h) In general, carry out to the extent of its capabilities, all activity leading to a better understanding of monetary, banking and fiscal issues, both domestic and external, in Latin American and Caribbean countries. Article 6. The Center shall have "Associate" and "Collaborating" members. a. The Associate members shall be the central banks or similar institutions of the American Continent, which join the Center as such, and dues to its support with the quotas established by the Assembly. There may be only one Associate member for each country. b. The Collaborating members shall be the organizations giving CEMLA regular financial support. To become a Collaborating member the approval of the Governing Board is required. Article 7. Memberships of the Center whether Associate or Collaborating is not transferable. b. To participate in the election of the Governing Board, as well as to be a member of it. c. To have access to the activities and services organized by the Center, in agreement with the programmes approved by the Governing Board. d. To contribute to the support of the Center with the dues decided by the Assembly. e. To provide the Center with efficient and permanent assistance for securing the information required to conduct its research activities and, in general, for the achievement of its objectives. f. To participate in the surveillance of the activities of the Center. a. To attend the Assembly meetings. b. To be a member of the Governing Board, as provided for in Article 17 below. c. To have access to the activities and services organized by the Center, in accordance with the programs approved by the Governing Board. d. To give the Center such co-operation as agreed upon and, in general, to facilitate the work of the Center as much as possible. Article 10. The Center is composed of the following organs: the Assembly, the Governing Board, the Director General, the Deputy Director General, the Deputies Committee and the Audit Committee.. The Assembly is the supreme authority of the Center. b. 80% of total voting power, multiplied by the quotient which results from dividing its approved quota for the fiscal year in progress by the sum total of quotas for all Associate members approved by the Assembly for said fiscal year. Article 12. The Assembly shall meet every year and when convened by the Governing Board. Article 13. The meetings shall take place in the dates established by the Assembly or by the Governing Board on its own or at the proposal of at least one third of the Associate members. The meetings of the Assembly shall be convened within at least two months notice prior to the date on which they will be held. The letter of announcement should include the agenda. The Assembly may adopt decisions by mail on specific matters, which it has considered previously. For casting votes, the Associate members will be given a deadline established by the Assembly itself or by the Governing Board. The Assemblies shall duly meet in the city in Mexico or abroad determined by the Governing Board. Article 14. The Assembly meetings shall be convened once, and will be held with the number of members in attendance. The Chairman of the Assembly shall be the President of the Governing Board. The decisions adopted by mail shall be taken on the basis of the votes received at the CEMLA headquarters within the deadline. a. Approve, based on a proposal submitted by the Governing Board any modification to the Statutes. b. Decide on admission of new Associate members. 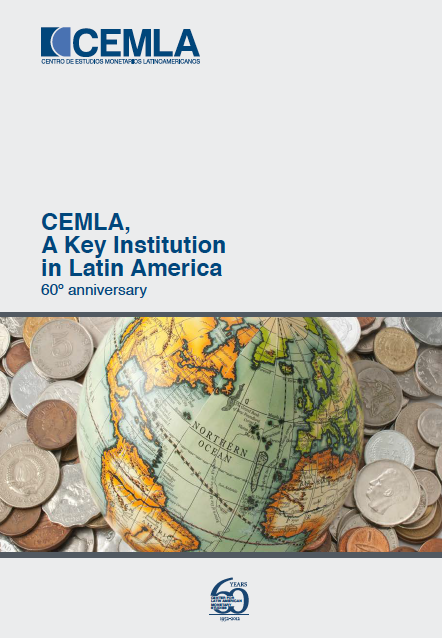 c. Receive the reports made by the Direction General, as well as to be informed through the Governing Board of the reports prepared by the Audit Committee, of the recommendations issued by the Deputies Committee and on the discussions and decisions of the Governing Board on the activities, programmes, budgets and financial statements of CEMLA. d. Establish the dues of the Associate members. e. Designate the Governing Board, following the outcome of elections held in accordance with clauses (b), (c) and (d) of article 17.
f. Appoint and remove the Director-General. g. Decide on the dissolution of the Center. h. Examine and decide, as supreme authority of the Center, any matter not within the competence of the Governing Board or the Director-General. a. The decisions of the Assembly shall be taken by a simple majority of the voting power cast, except for those cases in which these Statutes foresee a special majority. b. For decisions with respect to the adoption, interpretation or modification of these Statutes, at least three fifths of the Associate members representing no less than 75% of the total voting power are required for approval. c. At the request of any Associate member, and with the approving vote of at least half of the Associate members representing no less than half of the total voting power, any decision to be taken by the Assembly, save for that referred to in article 34, may be declared "of great institutional relevance". For such a decision, the special majority established in clause (b) of this article shall apply. a. The central bank of country providing the Center's headquarters shall, in such capacity, have a permanent chair on the Governing Board. b. The rest of the Associate members shall cast their corresponding percentage of the total voting power (as defined in Article 11) towards the election of the remaining members of the Governing Board, electing those six Associate members that receive the highest individual tallies, provided that each Associate member so elected receive at least 10% of the total voting power. c. Should six Associate members not be elected in the first voting round, a second round will be held in which voting will be restricted only to those Associate members whose first round vote was cast for Associate members not elected, or whose first round vote is deemed to have caused the individual tally received by an elected Associate member to have exceeded 17% of the total voting power. To this latter effect, the votes received by such an elected Associate member will be added in decreasing order of magnitude until its individual tally reaches or exceeds 17%, with that last vote (so long as it is not that same vote which simultaneously allowed the elected Associate member to achieve the 10% minimum) and the subsequent votes received by that Associate member being those that shall be recast by the Associate members concerned. If, prior to the second round, there remain more candidacies than chairs available, then the least voted candidacy of the first voting round should be eliminated. d. Should the Governing Board not be fully constituted following the second voting round, then subsequent rounds shall be held successively under these same principles, provided that once five members have been elected, the sixth shall be elected by a simple majority of the remaining voting power, and shall be considered as having been elected by the totality of such voting power. e. The members of the Governing Board shall serve for two years. f. The Center's Collaborating members may also be represented in the meetings of the Governing Board in the capacity of general and special consultants. a. To propose to the Assembly any modification of the Statutes. b. To achieve, within its spheres of work, the aims of the Center. c. To authorize the entry of new Collaborating members to CEMLA and confirm the dues agreed upon between them and the Director-General, of which the Assembly shall be informed. d. To carry out the decisions and recommendations report to the Assembly. e. To consider, analyze and, if that were the case, approve the Programmes of Activities and Income and Expenditure Budget, as well as the Reports on Activities and Financial Results submitted by the Director-General, and report this to the Assembly, together with its comments and recommendations. f. To oversee the budget performance and the implementation of the working programme of the Center with the support of the Audit Committee. g. To approve, if that were the case, the Internal Rules regulating the activities of the Center and the Organizational Manual regulating its operations and organizational chart, as well as the Terms of Reference set for the operation of the Committees created to support the functioning of the Center. h. To request from the Deputies and Audit Committees to carry out any tasks in their field of competence in which the Governing Board is interested. i. To determine the salary and representation allowance of the Director-General and of the Deputy Director-General and to approve, if that were the case, the salary policy general proposals submitted by the Director-General. j. To appoint and remove the Deputy Director-General by its own decision or on the basis of a proposal of the Director-General. k. To take any other measure to ensure the smooth functioning of the Center, and to report it to the Assembly in its next meeting. Article 19. One of the seven members of the Board shall serve as Chairman and shall be designated by plenary session of the Board. Article 20. The Governing Board shall meet in ordinary sessions every year and in extraordinary sessions when convened by its Chairman, on his own initiative or as requested by any one of the members. The Board may also resolve matters by correspondence. Decisions shall be taken by a majority of the total voting power cast, with each member casting such voting power as corresponds to the total for those Associate members with whose votes the member was elected according to the procedures in article 17. Article 21. The Director-General shall be in charge of the management of the Center. a. Any Associate member shall be entitled to nominate candidates for Director-General, sending its proposal to the Chairman of the Governing Board at least three months in advance of the date when the appointment is to be decided, or when learning about the resignation or retirement of the Director-General, before the expiration of his term in office. b. The Chairman of the Governing Board shall circulate the nominations among the Associate members as soon as possible. c. The Associate members, in a meeting of the Assembly convened by the Chairman of the Governing Board through the Center, will decide on the person to be offered the post from among the candidates proposed within the deadline. For this end, a candidate shall be required to obtain a majority of at least two thirds of the votes cast. d. If after three ballots no candidate has received the required majority, the Director-General shall be appointed by the Assembly in a new ballot in which the appointment shall be decided by simple majority between the two candidates with most votes cast in the third ballot. e. One year before the term of office of a Director-General expires, the Chairman of the Governing Board shall send a reminder of the fact to the Associate members so that they may inform him about the names of the candidates contemplated in paragraph (a) above. a. Be chief executive officer of its activities, administrative services and personnel. b. Appoint and dismiss the permanent or temporary personnel of the Center, and report to the Governing Board the decisions taken in this matter in the case of senior staff. c. Submit to the Governing Board the Internal Rules regulating the activities of the Center and the Organizational Manual regulating its operations and organizational chart. d. Planning and conduct the activities of information, research, teaching, technical assistance, organization and attendance at meetings, as well as others that constitute the programme of the Center in accordance with the norms thereabouts approved by the Governing Board. e. Be the legal representative of the Center for Latin American Monetary Studies according to the powers the law confers on him or those which are specifically stated in these Statutes. f. Submit to the Governing Board annually the Programme of Activities and Income and Expenditure Budget of the Center. Also, inform the Governing Board every semester of the Financial Results of the Institution, as well as of the performance of the Programme of Activities and Income and Expenditure Budget of the Center. g. Provide to the Deputies and Audit Committees any information required by them for fulfilling their responsibilities. h. Inform to the Deputies and Audit Committees on the proposals to be submitted in accordance with the functions described in the literal (c), (f) and (i) of the present article, as well as in literal (j) of Article 18.
i. Perform any other duties entrusted to him by the Governing Board, aiming the fulfillment of the aims and actions of the Center. i. To abandon injunctions, execute all classes of public and private documents, make declarations, waivers and protests, to answer and prepare interrogatories in and out of court, to file complaints, charges and accusations and to confirm and amplify them, waive the same and act as third nominal party of the Prosecutor's Office, grant pardon, if appropriate, furnish proof and in general pursue and terminate in whatever way all classes of appeals, arbitrations and proceedings of any type. ii. Power for acts of administration in labor matters, with administrative faculties in the labor area, in order to represent the Association at the hearings of local and federal Conciliation and Arbitration Board and any other labor authority, attending all and each of the acts required, among others at the hearings of conciliation, complain and defense, offering and admission of evidence, as well as presenting them; to appeal against judgements, interlocutory resolutions, final judgements and any other type of preceding act, within, outside or after the lawsuit or any other type of procedure; to resort to direct or indirect writs of amparo as well as to withdraw them; to state and respond to interrogatories, promote acts and withdraw them, propose settlements and appear at the signing of agreements and submit to arbitration. The Director-General can also recuse any authority or officer under the terms of the law, can exercise the faculties of legal representative before any labor authority or authority related to the matters stated here, in accordance with Article 523 of the Federal Labor Law, before which he will appear as administrator and therefore representative of the Association in accordance with the provisions of Articles 11, 690 and 692, subparagraph 2 within the procedure set out in the Articles 873 to 880 of the Federal Labor Law. iii. Sign contracts relating to the opening, management and operation of bank accounts in the name of the Association, as well as all legal acts related to and derived from contracts made with credit and/or financial institutions, and appoint staff members or employees of the Center who can draw on such accounts, in which case those individuals shall be responsible for the appropriate use of said accounts. iv. Sign, authorize, issue, endorse and accept credit instruments according to the terms of the ninth Article of the Credit Instruments and Operations General Law, as well as making transactions implying foreign exchange risk for the Association. v. Grant and revoke powers, or delegate his functions without them being understood as substituted or modified, save that stated in these Statutes. The Director-General shall exercise the powers mentioned above before individuals and/or all classes of federal, local or municipal, civil, judicial, administrative or labor authorities. Article 24. The Director-General may delegate to the Deputy Director-General any of the powers and functions referred to in Article 23, save those stipulated in paragraphs (c), (f) and, where applicable, (i) of Article 23. The Director-General may also delegate the powers stated in paragraph b) of Article 23 to the Deputy General-Director or to the Manager of Administration and Finance. When exercising the powers stated in paragraph j) of Article 23, the Director-General may also grant to the Deputy Director-General or any member of staff below the level of Deputy Director General: general power for litigation and collections –including or not one or some of the faculties referred to in Articles 2582 and 2587 of the Civil Code for the Federal District and the provisions or amendments of all the Civil Codes of the different institutions of the Mexican Republic and the Federal Civil Code, or any of those stated in subparagraph i. of Article 23 of these Statutes-; general powers for limited administrative acts, powers for special administrative acts, or powers for administrative acts in labor matters referred to in subparagraph ii. of paragraph j); and powers to grant and sign credit instruments according to the ninth Article of the Credit Instruments and Operations General Law. The Director-General may also delegate the powers conferred to him by the different sections of paragraph j) of Article 23, granting third parties: general or special powers for litigation and collections –including or not one (several) faculty(ies) referred to in Articles 2582 and 2587 of the Civil Code for the Federal District and the provisions or amendments in all the Civil Codes of the different institutions of the Mexican Republic and the Federal Civil Code or some of those stated in subparagraph i. of Article 23 of these Statutes-; powers for special administrative acts, or powers to act in labor administration matters referred to in subparagraph ii. of paragraph j). The representatives referred to in the preceding two paragraphs are obliged to provide a written bimonthly report to the Director-General on the specific matter(s) they are responsible for. As to the legal representation referred to in paragraph (e) of Article 23, the Director-General may also delegate it to the Deputy General-Director or to other members of the staff below the level of Deputy General-Director but only for addressing specific matters. Article 25. In the absence of the Director-General, whether temporary or permanent, the Deputy Director-General shall be in charge of all the Director-General's functions. Article 26. The Deputy Director-General shall be designated for a renewable period of five years. Article 27. Should the post of Director-General or Deputy Director-General fall vacant before the termination of any period a substitute shall be appointed to cover the said period until its conclusion. Article 28. The Deputies Committee shall consist of those representatives appointed by each central bank member of the Governing Board. The member of the Deputies Committee shall serve for two years, during the same period that the Governing Board. The Center's Collaborating members may also be represented in the meetings of the Governing Board in the capacity of general and special consultants. a. To serve as liaison between the Director-General of the Center and the Governors of the central banks members of the Governing Board, with the aim of supporting their participation in the activities of the Center in accordance with the Terms of Reference approved by the Governing Board. b. Perform any other duties entrusted to the Committee by the Governing Board, in relation to any matter in its field of competence. c. Request from the Director-General and/or the Deputy Director-General of the Center any information it may need for fulfilling its duties. Article 30. In the surveillance of the Center, the Governing Board shall be supported by the Audit Committee. This Committee shall consist of those representatives appointed by each central bank member of the Governing Board to participate in the Deputies Committee. The Center's Collaborating members may also be represented in the meetings of the Audit Committee in the capacity of general and special consultants. d. Perform any other role set in its Terms of Reference or entrusted thereto by the Governing Board of the Center, regarding, inter alia, financial reporting processes, the internal control system, the external audit process, the compliance with laws and regulations, and other associated to these matters. Article 32. The expenses of the Center shall be met with the dues of the Associate and Collaborating members in addition to other potential income, including the yields from investing the funds of the Institution. The Assembly using the powers conferred on it in Article 15, shall establish the dues for Associate members, according to the recommendations of the Governing Board, based on proposals submitted by the Director-General. The Collaborating members dues shall be negotiated between each member and the Director-General; the latter shall report results to the Governing Board for it to ratify them in turn and inform the Assembly of this. Article 33. The Center may be dissolved if so decided by two thirds of the Associate members representing 80% of the total voting power. Article 34. The dissolution shall be effected according to the decisions of the Assembly. Article 35. The Association is Mexican, subject to Mexican laws and courts. Under the terms of Article 31 of the Rulings on the Law to Promote Mexican Investment and Regulate Foreign Investment, current or future foreign Associate members of the Association formally undertake with the Ministry of Foreign Affairs to consider themselves as nationals in respect to the interests they acquire in the Association or are holders of, as well as to the goods, rights, concessions, shares or interests held by the Association, or of the rights and obligations deriving from contracts to which the Association is party with Mexican authorities, and therefore not to invoke the protection of their Governments, under pain of losing any interest they might have acquired to the Nation.